It is the NOW for ALL of you, our Grounded Ones, to BE your true Multidimensional SELF. We suggest that you document your experiences and share them with others so that you can facilitate their full awakening. Please “document” your experiences in any manner that best suits YOU. We are requesting that you share your process because it is the NOW to release the protection of your forgetfulness. Yes, forgetting disturbing perceptions and experiences was often your only protection during the dark times of Gaia, but this reign of darkness is coming to a conclusion. You, our brave Emissaries to Gaia, have had to hide your Light. But NOW, you can begin to BE your SELF and LIVE your Mission. NOW, that the Light is brighter than the darkness, you can more easily perceive – and thus release – the illusions that you have had to tolerate and live through for myriad incarnations. Not all of you chose to first enter Earth at the fall of Atlantis, but once you entered the 3D matrix, you could experience an incarnation during any timeline that was in need of your assistance. In many of those timelines, the Matrix was so polluted with darkness that you totally forgot your SELF. Worse yet, you fell into that darkness and believed what that darkness told you. 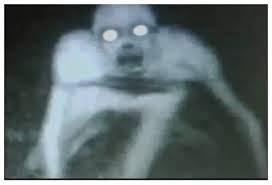 In other lives, your remained connected to your SELF, but often were punished, tortured and/or murdered for being “different” than the ruling darkness. Most of you do not recall too much of your reality on the Ship because the “homesickness” of that remembering could be quite heartbreaking. However, it is the NOW for many of you, our Volunteers, to remember your lives on the Ship. That memory will facilitate your ability to be in conscious, constant, contact with the YOU on the Ship that bi-located into your present Earth vessel. We see that many of your 3D minds are whirling with the remembrance of the myriad expressions of your Multidimensional SELF. However, it is the Mission of many of you to inform the masses of the fact that reality is Multidimensional, and that everyone has myriad incarnations on different dimensions, realities, and timelines. Thus, you need to have a “vivid imagination” in order to remember your expressions of Self in other dimensions and timelines that are running simultaneously to your life in the physical world. We bring up this issue because many of you, our Volunteers, are having the experience of consciously experiencing your parallel, alternate and higher dimensional lives. You are feeling these “stories,” “lives” and “memories” on different timelines and in different locations because you are “packing your bags” and preparing to move back to your “ancestral” Home. 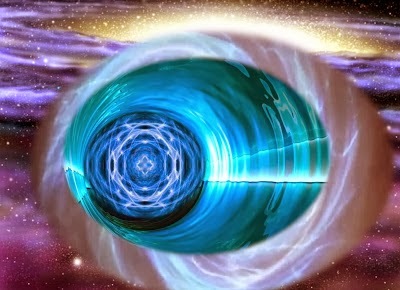 You will no longer “reincarnate” on Gaia’s 3D planets because She, too, is returning to Her Higher SELF. Dear Volunteers to assist Gaia, we, your Galactic and Celestial families, want to remind you to maintain a conscious connection with your higher frequency expressions of SELF. It is through this conscious connection that you can best remember, and thus fulfill, the Mission that you chose before you took this Earth vessel. Of course, you all have the collective personal and planetary mission of “returning to SELF.” In order to fully achieve this return, you will have to leave time, as the NOW is outside of third dimensional time. Hence, it is also the NOW to open and expand your consciousness through your personal portals to join us in our Arcturian Corridor. 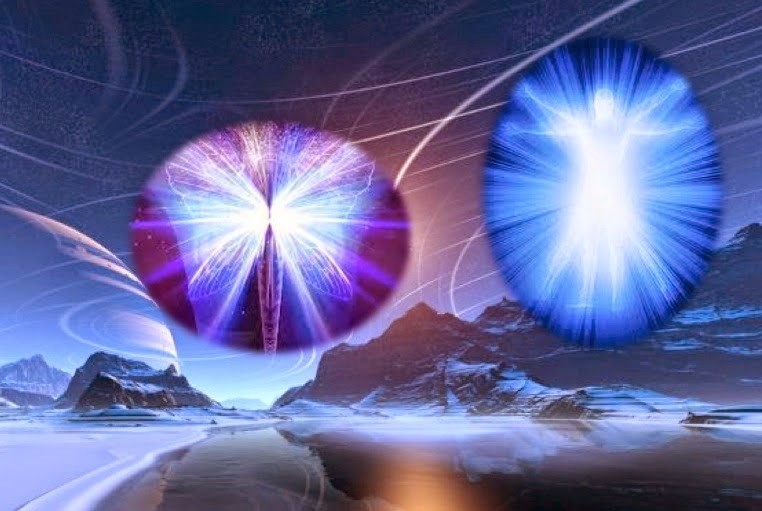 Our Arcturian Corridor is a portal through which the myriad portals of our Ascending Ones can gather in unity, safety and freedom to intermingle and form a cohesive group. It is important that our Volunteers gather in this manner because the Unity consciousness that is created by this gathering will allow you to exponentially expand your personal and group consciousness. Because you are contributing personal ascending consciousness to the UNIFIED energy field of Gaia’s ascending Earth, it is vital within this NOW that you become “Masters” of your energy field. Because Gaia, brave Being that She is, decided to be a School to teach cause and effect, individuality AND free-will, She is a very complicated planet to ascend. Fortunately, because She has been so deeply trapped in the darkness, when she ascends She will expand Her planetary SELF into correlate higher frequencies of Light. Just as one jumping on a trampoline will only jump UP as high as the move DOWN, Gaia has allowed her planet to accept myriad laggards of darkness into Her immense heart. These dark ones have secretly ruled Gaia’s planet for more “time” than humanity could bear to know. However, just as Gaia has chosen to accept the darkness into her planetary heart, you too must accept that darkness. By “accept” we mean that you do not deny the darkness, for what you deny will only move into your unconscious. Whatever is stored is your unconscious 3D brain, is difficult for you to heal and release. How can your heal that which you do not even know? This “unconscious” darkness acts like an illness that is denied so long that it is extremely difficult to heal. You, our brave Emissaries to Earth, have volunteered to bi-locate into a physical form so that you could assist Gaia from within Her planetary system through the Earth vessel that you are wearing. We speak now to those who have awakened, as those who still slumber cannot imagine that they have the ability to face the monumental darkness that has secretly ruled Gaia for longer than many of you could imagine. But as you remember your incarnations in other timelines on Earth, you will realize that the polarity of Light and dark was a constant theme. Releasing the illusion of separation. In other words, Gaia is a planetary “School for Ascension.” You, our Dear Ones, have chosen to take a vessel on Earth within this NOW because Gaia, and her planetary Self, are ready to return to Earth’s true Multidimensional expression. Many beings and civilizations have come to Gaia’s planetary body over more “time” than you could count. They came to Earth to take advantage of the opportunity to ascend out the third/fourth dimensional Wheel of Life—Death—Life—Death. 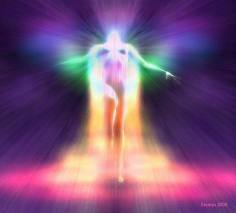 Gaia has experienced enough lives and deaths and She is ready to ascend her Self. Hence, She needs YOU to use your Free Will to unify with ALL life, so that YOU can blend all polarities into unity by releasing your illusion of separation. One of the most difficult components of this “class” is to release the illusion of safety that your free will created by separating you from a conscious knowledge of how much the dark polarities had ruled Gaia. Since “separation” is a third dimensional illusion, the belief in separation lowers your consciousness to only perceive the physical world. In truth, separation only means that you cannot perceive that which is in-between. And, what is “in-between” there is YOU. However, if you are to blend all polarity into Unity, then the polarity of darkness and the polarity of Light must be united. If you look at the lives of the humans who have ascended from your planet, you will see that they ALL embraced all their inner darkness with their inner Light. These Ascending Ones have found the power within their SELF to feel Unity with ALL life. “All Life” does not mean unity with only the life that resonates to the Light. It does not mean unity with just other Light Beings. Unity with ALL life means that you unite with and Unconditionally Love ALL life – Light, dark and all the shades of grey in-between. Furthermore, when you ascend, there is NO “in-between.” In-between is a third/fourth dimensional concept that is based on separation. If there is no separation, then there is no individuality. You also must release the illusion of your “individual Self” to embrace the reality of your Multidimensional SELF. Your Multidimensional SELF does not begin in the higher frequencies. Your Multidimensional SELF resonates to all frequencies. YOU are your highest Light and YOU are your deepest darkness. If you cannot embrace, accept, unite, and Unconditionally Love your own darkness, how can you heal the darkness around you? How can you do for “others” what you cannot do for your Self? Remember, darkness is just a frequency. There are those who resonate to the lower dimensional signature frequency of power-over-others. On the other hand, the Ascended Ones resonate to the higher dimensional signature frequency of power within Self. Soon, it will be revealed just how deeply your reality has fallen into the lower frequency of “power-over-others.” This will occur because you, our Ascending Ones, are expanding your consciousness into the higher frequencies. Individual people can become quite adept at lying, but energy fields can only express the Truth of their resonant frequency. Once illusions are identified and released, all that remains is the Truth. When you consciously perceive the truth of what has occurred on your planet, your individual Self may want to be angry, sad and/or frightened. Your individual Self may want to blame someone because you cannot forgive yourself for not knowing what was really happening. Because of that possibility, we wish to remind you of the life stories of all Earth’s Ascended Ones. These Brave Ones meditated, suffered, served others and went deep inside their Self again and again to confront ALL their inner darkness. Beloved Ones, you can only project out into your reality what you find within your Self. Therefore, remember that those who have projected out darkness could only find darkness within. The Cabal that you have feared and hated lost all contact with their own inner Light. Therefore, they tried to steal it from others. But Light cannot be stolen. Light is free for all to receive, but one can only receive it if they believe they deserve it. Please use your wonderful gift of imagination to think of how it must feel to believe that you do NOT deserve Light. Imagine how it must feel to be so detached from the Light that you think you can steal it from another. 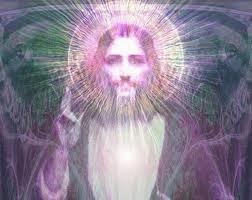 The Ascended Masters did not just confront the darkness around them. They first confronted the darkness within them. Because they found, healed, loved and released ALL their inner darkness, they had only Light within them. With only pure Light within, they only projected pure Light out into their world. That Light was a beacon for all who sought the Light outside of them because they could not find it within. Therefore, many gathered people around the Ascended Ones. They wanted to take on the Light that the Masters had found by releasing all their inner darkness. However, some of the “disciples” could not release their inner darkness and became vengeful towards their Master. It was then that the Master’s challenge to not allow anything inside or outside of his/her vessel to activate any of the inner darkness took them years, decades, and lifetimes to release. They then came to that final initiation. If a being trapped in darkness wanted to kill them to extinguish their Light, could they respond with Unconditional Love? Could you? Can YOU? Can you respond to fear and anger with Light and Unconditional Love? Dear Emissaries of Light and Love, we salute your courage to look inwards in order to change your world.